An OTRCAT original compilation: Turn the lights down low and sit as close as you can to your sweetheart when this scary collection plays! "Escape: Judgement Day at Cripple Deer"
oldest and strongest fear is fear of the unknown." 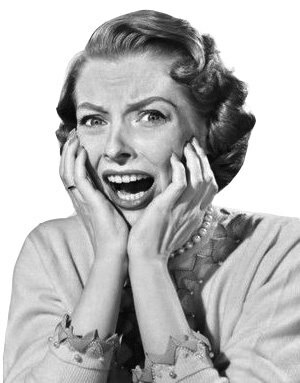 The very purpose of the Horror Genre is to give us feelings of fear, disgust, and terror. And what fun it is! Horror has always been a part of story telling. It is easy to imaging the ancient cave-men sitting around the campfire, munching on left-over mastodon steaks, and getting tired of hearing the same story about the brave mastodon hunters. So on this night the story-teller shares a tale that frightens his listeners to their very cores. But rather than shunning the story-teller who frightened them, they ask for more! The elements of a horror story are familiar to all of us from literature and film, but those who are new to the experience of Old Time Radio may not realize just how wonderfully frightening radio horror can be. The Horror Film became popular in 1931 with the release of Dracula and Frankenstein by Universal. The popularity of the movies wasn't lost on producers in the growing radio industry. The fun of movie monsters and horror films is sitting in the dark (hopefully with your best girl next to you) and enjoying the frights.This requires a good deal of acceptance on the part of the audience, a "suspension of disbelief". Radio horror requires this same suspension, but radio fans know that it is much more effective. Movies have to show you the images, but on the radio they grow in your own mind, and are more powerful than any image on the screen could be. Radio tales of horror use most of the same conventions and techniques used in movies and literature. Probably the most universal fear is that of death and being murdered. Or collection start in the Black Castle and the Black Chapel. Both shows found similar formulas for scaring us. In both a cackling host dares us to listen to the 15 minute show, and all of the characters are played by a single actor. On one of the Black Castle episodes a made scientist captures a victim who won't be missed and conducts his evil experiments. "The Mahogany Coffin" on the Black Chapel is a tale of one who sees perhaps too much death as a gravedigger, and prepares for his own death, one that he won't go to alone! Crime Classics is extra frightening because the stories are based on True Crimes. Although the victims are not always the most uplifting of people, like Billy the Kid and Jesse James, murder is never pleasant. But it isn't always Murder that does away with unpleasant sorts, such as the Mysterious Traveler's story "Death Comes for Adolph Hitler"; one of the most evil men of all time makes his escape in a submarine, but in the dark and frightening world under the sea, the souls of his victims find a small degree of revenge! What would Horror Shows be without a few genuine Monsters. Perhaps none are as frightening as the Undead Vampire. 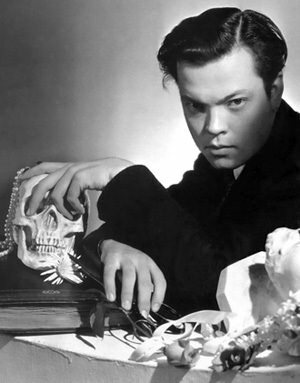 Orson Welles chose the tale of Bram Stoker's "Dracula" for his first Mercury Theater Broadcast, the show that would soon bring us Radio's ultimate Halloween prank, the 1938 "War of the Worlds" broadcast. The Hermit's Cave also chills us with a Vampires strange and other-worldly powers in "The Vampires Desire". 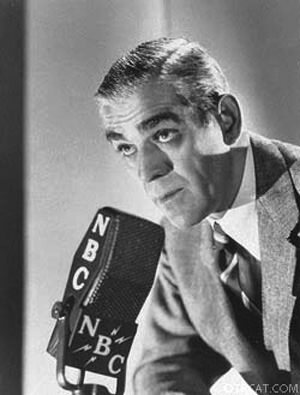 Creeps by Night features one of the greatest Movie Monster men of all time, Boris Karloff. In "The Hunt" Karloff is as scary as ever in a Werewolf story, but there is a surprise twist when we find out who the werewolf really is. There are almost too many good scares to describe in this collection. Of course we have included some great episodes from Inner Sanctum Mysteries, Escape!, Suspense! Quiet, Please, and Lights Out! We even managed to find a mysterious monster on Have Gun, Will Travel. Our Creepiest Radio Shows Collection is a good excuse to turn the lights down, let the fire burn low, and plug in the MP3 player for some creepy, chilling and frightening fun! I am to young to remember the real Golden Age of radio. I was born in 1952 but my mother talked about going to somebodies house that had a radio when she was growing up in impoverished and dust bowl beaten down rural Oklahoma, throwing quilts on the floor in front of the radio and listening all night or until they were all asleep as kids. Then something magical happened one night while listening to late night AM radio late at night in about the late 1970's. I discovered a local radio station that played the old Suspense episodes with Roma wines that later became Gallo wines sponsoring the show out of California I think. I know now this was an early day infomercial on RADIO...the infomercial time was purchased by Sandy Hook...yes, that Sandy Hook, Connecticut...they were selling old time cassette recordings of all types of old radio shows. I have probably 300 or so of individual programs on cassettes many of them repeats. Anyway, it was soon the time of CD's and it took me a while to purchase CD players to keep up with the changing times and all my cassette players head south in the mean time...so I am very happy to find OTR and a way to replace some of my favs. I am strictly into SCARY STUFF...horror, suspense and so on...I have very little comedy or straight drama unless it just happened to come with a compilation that mainly had scary radio shows with it. Anyway, thank you for letting me tell my story.